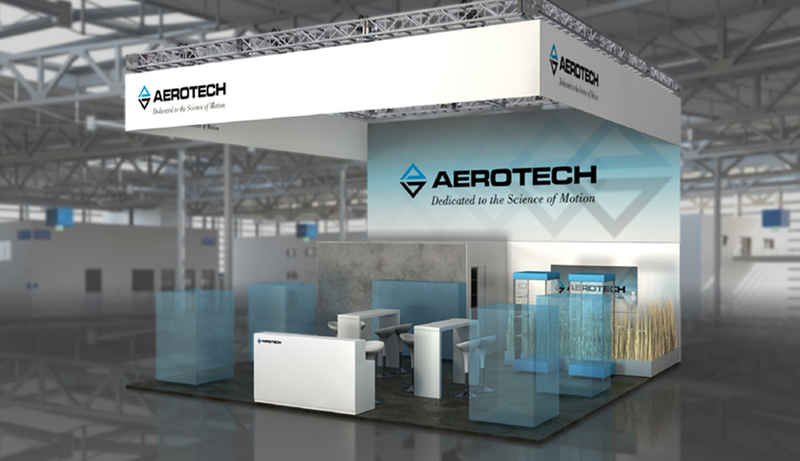 Fürth, Germany – 16 April 2019 – Aerotech will be demonstrating its extensive know-how as a system supplier for measurement and testing technology in Stuttgart at Control 2019, the international trade fair for Quality Assurance (QA). 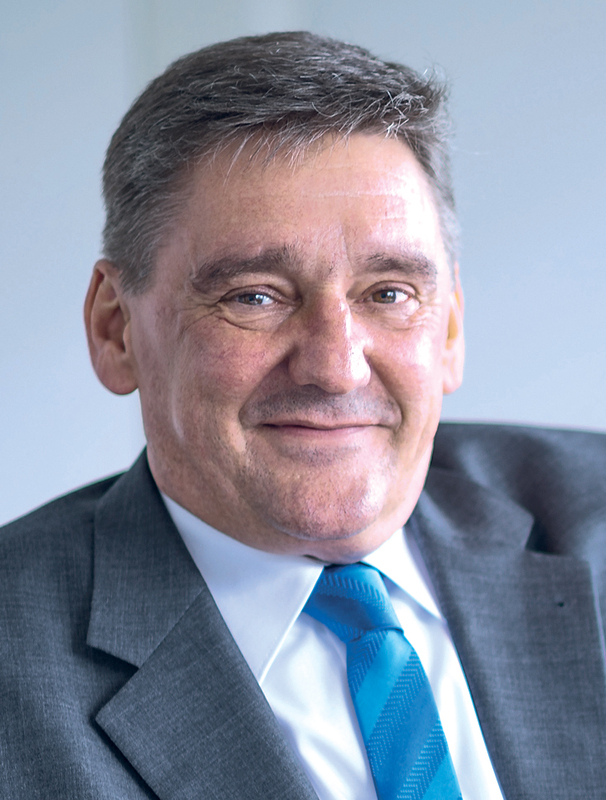 The manufacturer of high-performance motion control and positioning systems will focus on automation solutions and components for measuring and testing equipment in addition to its position controls. On a live display at booth 218 in hall 5 will be an Integrated Granite Motion (IGM) system with the A3200 automation controller and HyperWire® drive bus, the SMP multi-axis motion platform for surface measurement applications, the ABL 1500 air-bearing linear stage, as well as the new series of ATX cross-roller guided linear positioning stages. 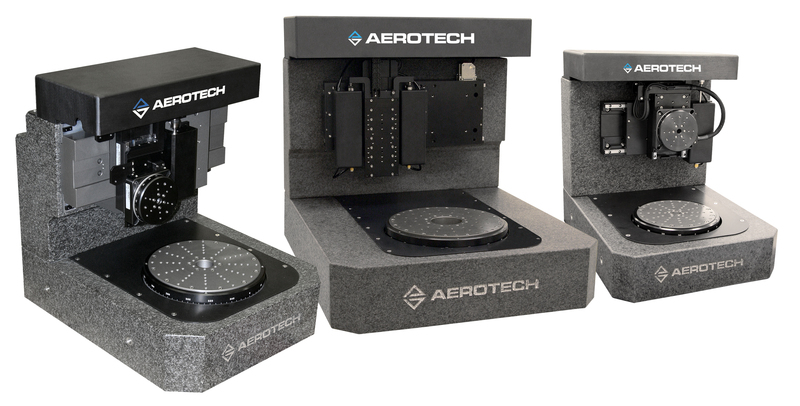 Aerotech’s latest components: a high-performance XR3 controller, a GL4 galvo controller, and the A3200 automation platform with HyperWire® drive bus. 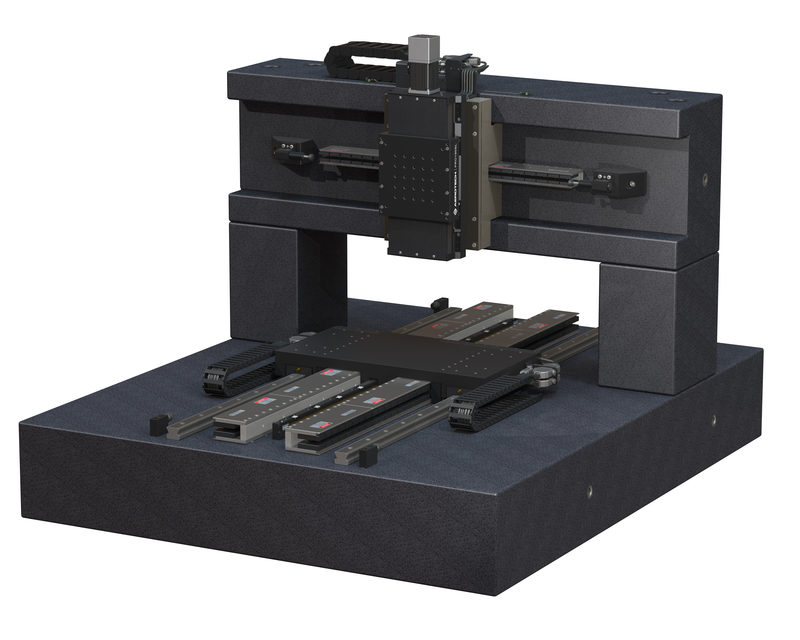 This allows the IGM linear stages, which are tailor-made and unique in terms of stiffness, to be configured to meet the requirements of various applications with greater flexibility. Depending on the intended use, travel distance, payload and dynamic performance can be adapted to the specific application. 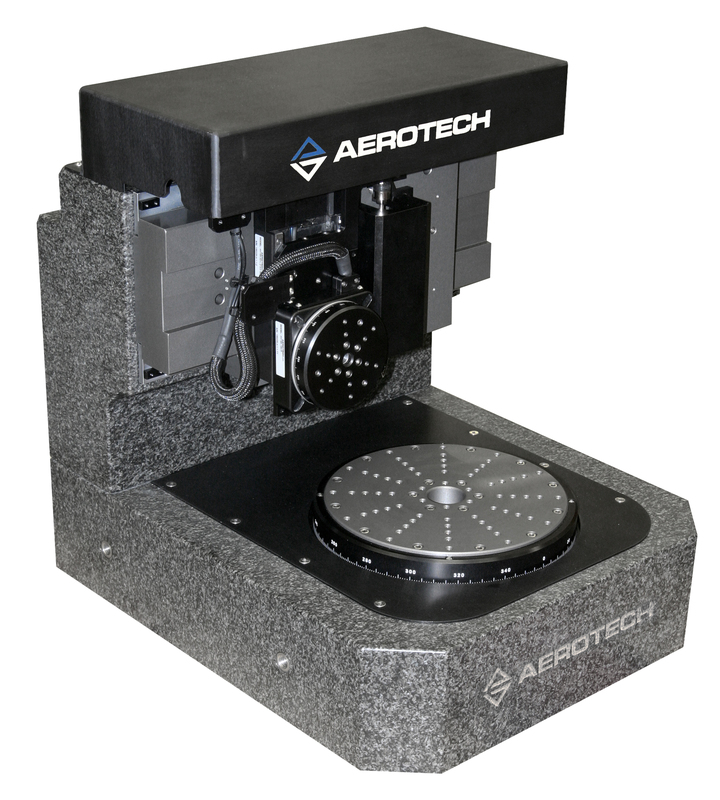 With its extremely low positioning tolerances, the ABL1500 is especially suitable for high-performance scanning and inspection. The integrated linear encoder feedback reports resolutions in the sub-nanometre range with a travel distance of 500mm. Its high rigidity and excellent guiding and positioning accuracy make the ABL1500 particularly interesting for semiconductor manufacturing. A unique feature is its construction with air-to-air pre-load for the vertical and horizontal planes. Since the load is distributed over a large area due to the large air bearing surface, the linear stage is extremely rigid and therefore particularly suitable for heavy or staggered loads. Caption: At Control 2019 in Stuttgart, Aerotech demonstrates the importance of components for quality assurance. Caption: Flexible motion platform: With the IGM positioning stages, travel, payload and dynamic performance can be adapted to specific applications. 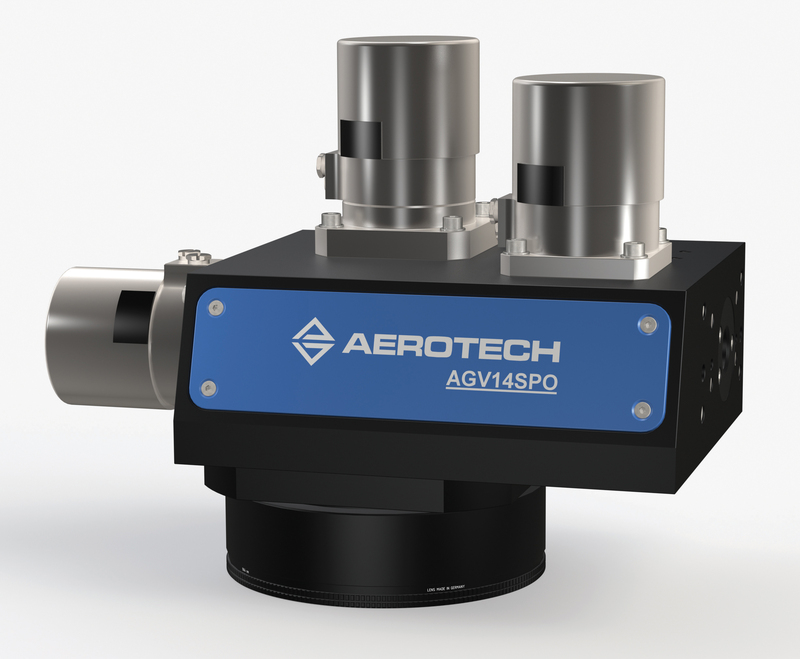 Caption: Combination – The IGM positioning platform can also be used to integrate Aerotech’s new AGV-SPO galvo scanners, which are used in additive manufacturing and medical technology. Caption: Open software architecture: The SMP surface measurement motion platform is open for the connection of various peripherals, e.g. the integration of different sensors such as white light or multi-wavelength interferometers, camera systems or capacitive probes.